Dubai: On Sunday, His Highness Dr Shaikh Sultan Bin Mohammad Al Qasimi, Supreme Council Member and Ruler of Sharjah declared open the doors of Al Hefaiyah Mountain Conservation Centre, that spreads over 12 square kilometres and is located at the outskirts of Kalaba city in Sharjah. Al Hefaiyah Mountain Conservation Centre is another home for wild animals. Approximately 30 species can be found at this centre. Wild animals like Arabian leopard, Arabian wolf, striped hyena and the Arabian tahr are kept enclosures. The other endangered animals are free to roam within this area. The centre also has been turned into an ideal habitat for fishes, snakes, Scorpions and reptiles. The main aim of this project is to protect and preserve the wildlife and also build conservation awareness among the public. 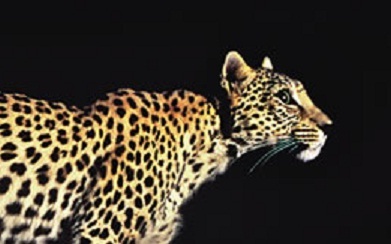 Al Suwaidi said, “Nobody, not even many local people today, know that we once had the Arabian leopard, wolf, owl and other wildlife living in Hajar Mountains. They don’t exist now but we want people to see them again.” Keeping this in mind the centre will be educating people the importance of wildlife. The selected animals have been transferred from Sharjah breeding centre so that they get the same environment in which they were living before and would be able to thrive and breed here also. Al Hefaiyah Mountain Conservation Centre is open throughout the day Sunday thru Thursday, Friday 2:00 to 5:30 pm and it remains close on Mondays. Entry tickets are easily available at reasonable prices.